This is the second post of a two part series on the ongoing driving decline in the United States. The recent decrease in driving is nearly unprecedented in American history, and has already lasted even longer than the decline experienced during World War II, when vehicle travel was limited by societal disruption and gasoline rationing. The economic and demographic changes behind the current decline are only expected to become more pronounced in the future, so it’s time to start considering the impact this trend may have. How will the decline affect driving in the United States during the coming decades? Gasoline for transportation makes up 45% of America’s total oil consumption, so changing transportation trends could have a significant impact on our international trade relationships and on the environment. As a result of stagnant driving levels and improving fuel efficiency, gasoline consumption for transportation hit a 10-year low in 2011. This helped to bring total U.S. petroleum imports to their lowest level since 1995, and reduced carbon dioxide emissions to 1999 levels. Gasoline consumption is already expected to decline further as a result of continued improvements in fuel economy, and could be pushed even further down as miles driven decreases. As the U.S. PIRG report suggests, decreased gasoline consumption presents an opportunity to reduce the national security challenges and economic issues associated with oil dependence on other nations, and to reduce air pollution, a major public health hazard. Every state collects taxes and fees on gasoline, which are intended to cover the costs of highways and driving. However, revenues from the gasoline tax are already insufficient to cover these expenses. In 2010, the revenue brought in from gas taxes comprised only 62% of total highway spending by all levels of government, with the rest coming from general taxpayer dollars. Reduced gasoline use will diminish this main source of transportation funds even further. Making up the gap between gas tax revenues and the costs of necessary maintenance would require increasing state and federal gas tax rates by 53 to 58 cents per gallon or a per-mile fee on driving of about 3 cents per mile. In the scenarios considered by the U.S. PIRG report, gas tax revenues could decline by 60% to 74% by 2040. Per-mile taxes are the most prominent proposed alternative to the gas tax. While they would reduce the impact of fuel efficiency improvements on tax revenues, further decreases in miles driven would directly affect per-mile taxes. U.S. PIRG researchers have suggested that a decrease in miles driven per person could lead to less traffic congestion, and so far this seems to be holding true. Americans spent 421 million fewer hours stuck in traffic in 2011 than they did in 2005, the year traffic congestion peaked. It’s unclear how booming new car sales in August will affect the total number of cars on the road, which dipped in 2009 and 2010. The U.S. car and light truck fleet is currently more than 11 years old on average, so many of these purchases may be replacing older cars rather than adding cars to the fleet. However, congestion levels do not necessarily follow total vehicle miles driven or the total number of cars on the road. If drivers shift their travel from rural to urban areas, or to more-congested highways or times of day, it’s possible for congestion to increase even as we drive fewer miles, and even if the number of cars on the road decreases or remains the same. In 2011, metropolitan areas grew faster than suburban areas for the first time in decades. Public transit trips are up 10% from 2005 to 2011, and continued to rise in 2012 despite widespread service reductions and fare increases. Bicycle commuting increased 39% from 2005 to 2011, and commuting on foot increased 20% from 2005 to 2009. But predictions made during the driving boom era, which assume a continued increase in driving, are still being used to form public policy aimed to promote car-oriented development. Taking action based on these outdated predictions can be costly. A series of toll roads built in Southern California from 1993 to 2007 were intended to relieve traffic congestion, but have struggled to attract expected levels of traffic, resulting in raised tolls and serious financial difficulty for local government agencies and their private partner companies. The situation in Portugal, which experienced a severe recession over the past two years, is even more dire. Portugal now has four times more kilometers of roadway per person than Britain, but tolls raised to provide funds for a cash-strapped government mean that many of these roadways are now going unused. We need to gather more information about changing travel trends to inform decision-making at all levels of government. The U.S. PIRG study recommends that the National Household Travel Survey, currently done once every 5-7 years, be conducted more often, ideally once per year. Once we understand our new transportation reality, we’ll need to revisit our plans for the future. There is still a large backlog of maintenance projects that must be completed to keep our existing infrastructure usable. And since congestion may increase in some areas, we may still need to expand certain roads and highways. But as we look to the future, we must make sure that new transportation investments will meet our needs. This means reviewing currently scheduled projects, and delaying or canceling those that are no longer relevant. Car-oriented zoning laws must also be revised to allow pedestrian, bike, and transit friendly mixed-use development. Finally, with the potential for revenues from gas taxes and per-mile taxes to keep declining, we’ll need to seriously reconsider where our transportation funding should come from. 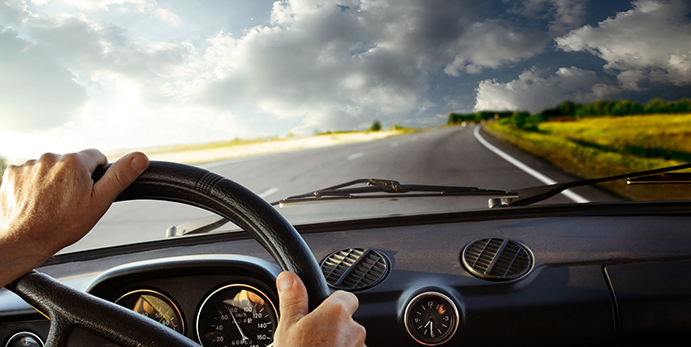 Have you changed your driving habits in the past few years? What prompted the change? Have you noticed any new transportation patterns in your area? Share your experience in the comments below!